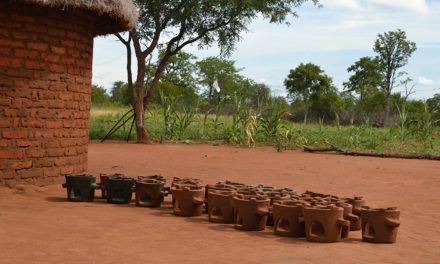 Rural communities in Zimbabwe face many and complex challenges. In order to find the best solutions, it is key to engage stakeholders across sectors to pool together knowledge and coordinate initiatives. 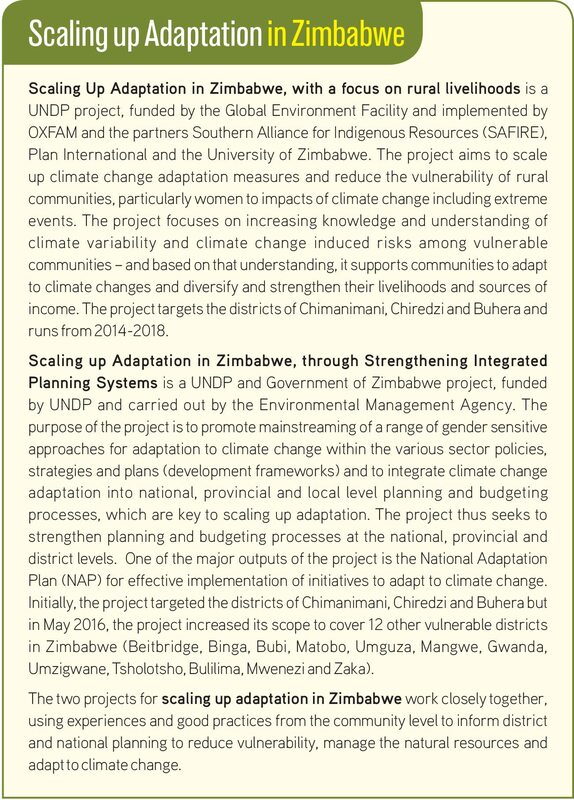 The Scaling Up Adaptation project, implemented by OXFAM, supports rural communities in Zimbabwe to reduce their vulnerability and strengthen their livelihoods. 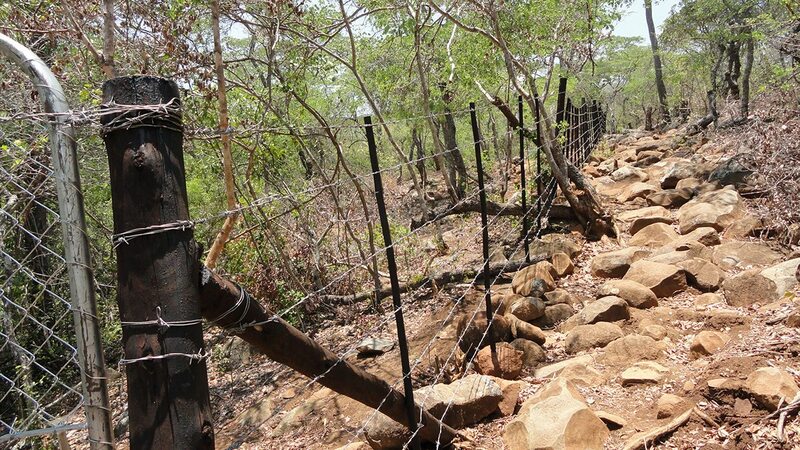 Chimanimani District is one of the many vulnerable districts around Zimbabwe that have been impacted by both environmental degradation and climate change. We started out by focusing on the most vulnerable villages in the Odzi river basin, of which Nyambeya river is a part. When we discussed the water shortages and solutions, the communities told us: We know where our water problems are coming from. The villages up stream are causing siltation in the river and that impacts us. We would like to engage with them on this issue. 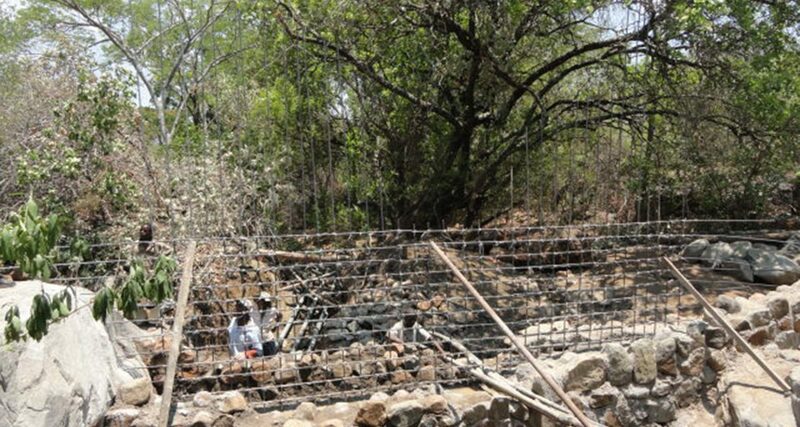 The project partners found out that the Nyambeya river flows had decreased, due to that some communities upstream did not manage the land well. The forest was cut down for firewood and agricultural space, there was streambank cultivation and when the rains came, the soil was washed into the river that clogged with silt downstream. This impacted small holder farming communities down the river, who were no longer getting enough water for their irrigation schemes. 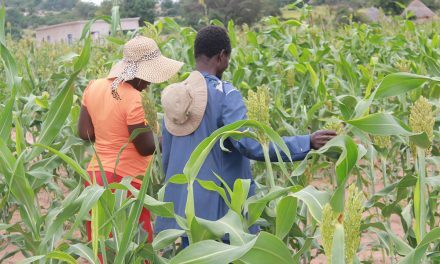 On top of this, the farmers in these communities could not rely on the rains as the rain fall patterns were changing in their areas due to climate change. This resulted in crop failure and put the communities’ livelihoods under pressure. In order to get to the root of the problem of water, the project partners decided to look at the whole river basin in a holistic manner and to engage stakeholders both up- and downstream. The Chieza village lies upstream on the Nyambeya river in a wet part of Chimanimani. It had established an irrigation scheme drawing water from the from the Nyambeya wetland to community gardens. The village cattle were grazing in the wetland and overgrazing and drainage damaged the wetlands ability to store water. 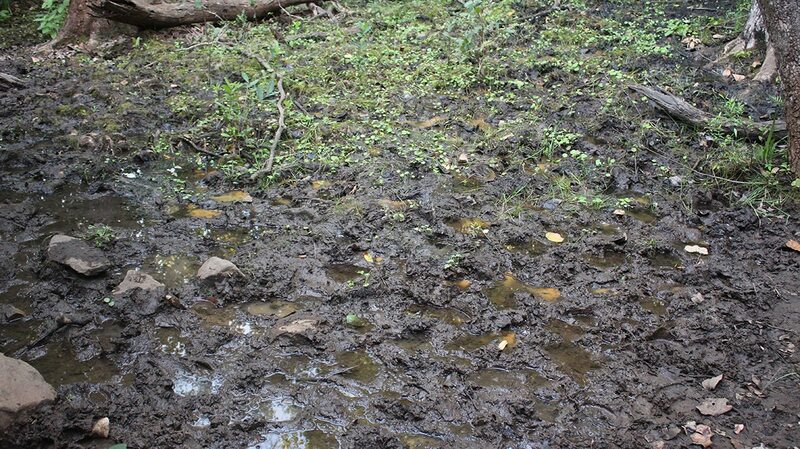 Also, the village was located in a mountainous area, where many trees had been felled for firewood and agricultural space, so the rain easily washed the soil into nearby waterways, causing siltation further downstream. 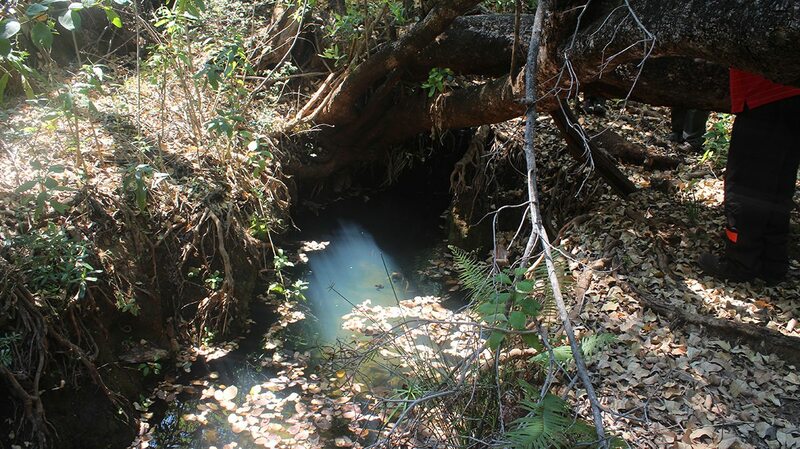 It took some time to get the Chieza community to buy into the idea of managing the natural resources better to make sure that communities both up and downstream would have access to water. But at the time we approached the village, the villagers were also starting to experience that their water resources were dwindling. So even though the water scarcity was mostly felt downstream, the villagers in Chieza also became interested in managing their water better, Dr. Unganai recounts. To help solve the problems, OXFAM and its partners supported the Chieza community to better understand the situation of environmental degradation and make plans for sustainable natural resources management. As this was a complex issue that touched upon many social, economic and environmental issues, the project engaged stakeholders across sectors in the district. We brought on board a variety of stakeholders. 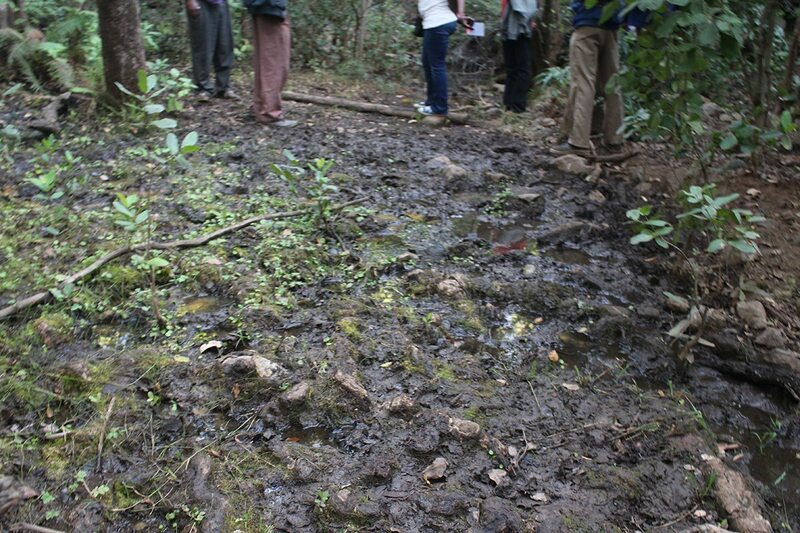 The Environmental Management Agency assisted us in mapping out wetlands and the current status of wetlands. Actors in the agricultural sector helped us look at land use planning, soil degradation and erosion. The Forestry Commission assessed the status of biodiversity and the state of the forest. The Water authorities helped to identify where the weir could be constructed. Together we did an assessment of the situation and discussed what to do about the situation, Dr. Ungainai says. This helped us to see the problem from many angles and decide on a holistic solution. One of the key initiatives was a participatory assessment of current land use, the sources of risk and the community aspirations. This included participatory transect walks to look at the different aspects of land use. Farmers with local knowledge of the villages, local leaders, SAFIRE Program Coordinators working in the villages, Environmental Management Agency officers, consultants from the University of Zimbabwe and AGRITEX and livestock production officers walked through the landscape together and assessed how the land was used and how it supported the livelihoods of the villagers. The transect walks were critical because the community members saw the deforested woodlands, the degraded croplands, gullies and flood channels and discussed them together with the experts, Dr. Unganai says. Based on the participatory assessments, community members decided that in order to protect and enhance their water resources, they needed to manage the wetland better. Together with OXFAM, the village made a plan for how they could manage the land and water resources sustainably in a way that would improve their livelihoods while maintaining ecosystems healthy. The Chieza village decided to fence the wetland off to encourage minimal disturbance and allow the wetland to regenerate and increase its water holding capacity. 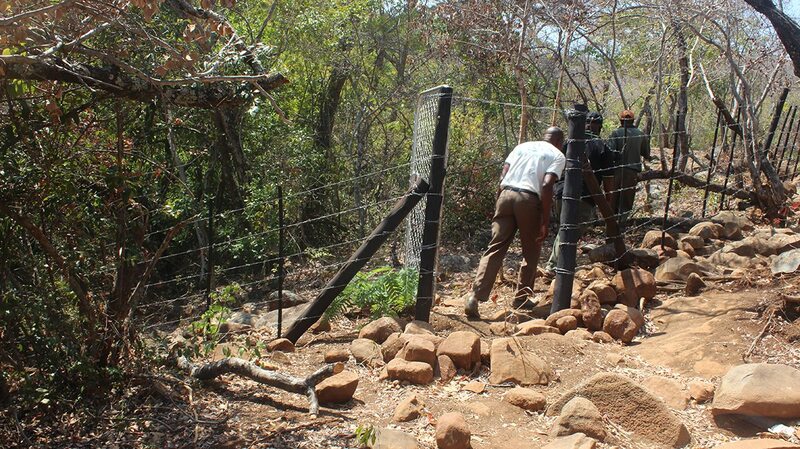 The villagers contributed with the manpower to put up the fence and OXFAM provided fencing material. Now, 4 months after, when we do the transect walks through the landscape, we can see that the Nyambeya wetland is recovering. People notice medicinal plants that had disappeared and animal species they had not seen for a long time. The community has also found out that protecting the wetland opens up of livelihood opportunities, such as beekeeping and aquaculture. Dr. Unganai explains with enthusiasm. 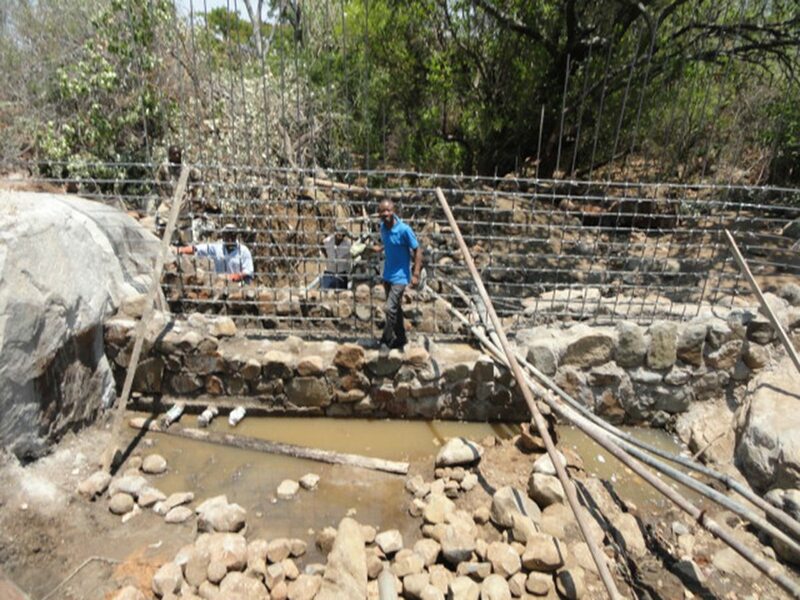 The villagers also decided to re-construct the weir in a climate proofed way so that it can withstand flooding – thus avoiding further disasters. 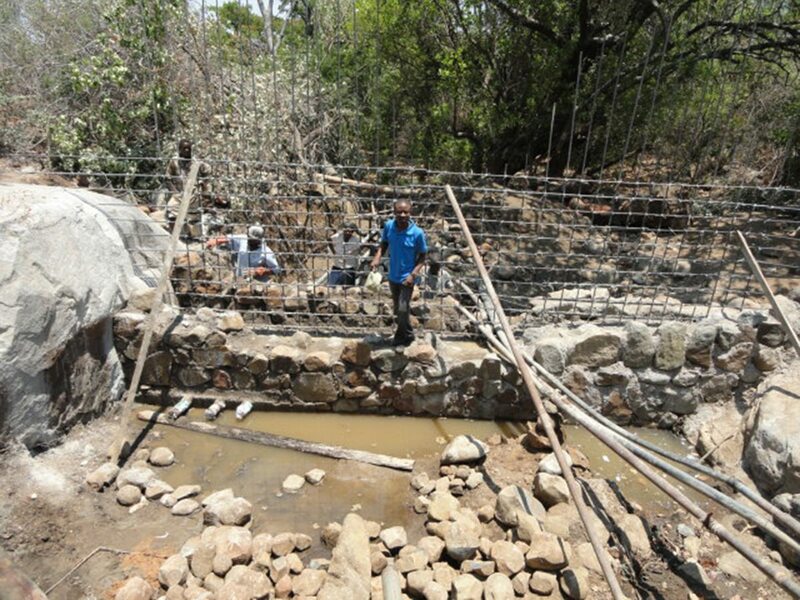 The depth of the weir has also been revised, taking into consideration that the rainy season has become erratic and there is a need to store water to have a reliable source of water. 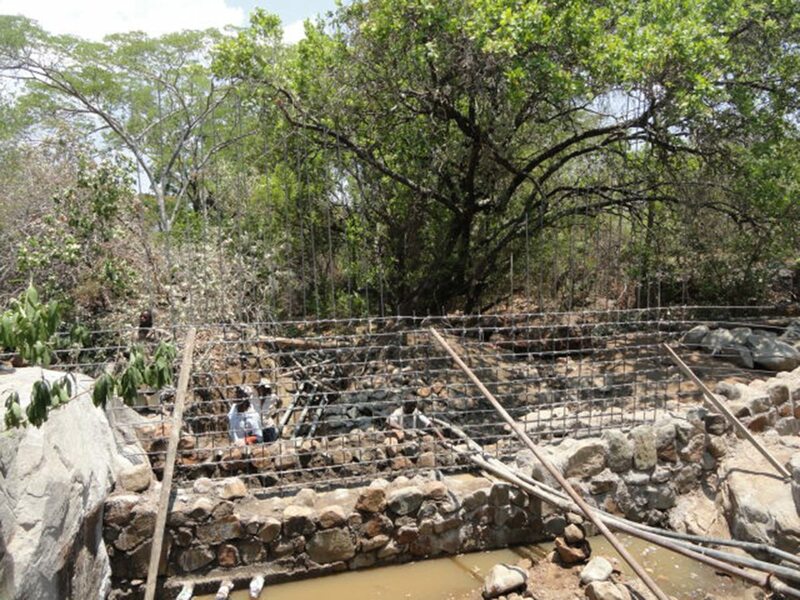 In addition, the village developed plans for sustainable land use, which encourage agricultural practices that prevent siltation of the weir and encourage the conservation of natural resources. And the best part is, that both the Chieza village and the vulnerable villages downstream are benefiting. Their irrigation schemes are now functioning again, because there is enough water flowing in the river. It became a win-win situation for all involved, Dr. Unganai explains. This successful experience shows that for the district of Chimanimani and for Zimbabwe as a whole, dialogue across sectors is key to tackle environmental degradation and climate change effectively. Stakeholders need to come together to plan and coordinate in order to have policies, programmes and activities that speak to each other. I think everyone involved learnt something in this process, Dr. Unganai says. “We saw that even for complex problems, there are solutions if we work together across sectors. If you plan together and draw on each other’s knowledge, you are more likely to have a positive impact.